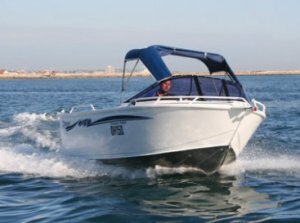 Boat City - Our range of New and Used Boats For Sale. We sell both new and used boats. I want to sell my boat QUICK! Boat City is currently looking for late model boats as we head into the warmer months. If you have a boat you would like to sell, or trade-in on a bigger boat, don't put it off any longer. Avoid the hassle of advertising, and taking valuable time to meet with prospective buyers. We can sell your boat with minimal of fuss, and you can get on with your life knowing your boat is advertised to a wide audience. Boat City's New Coraline Wahoo Series II is the serious open water dinghy. Available in either 4.6m, 5m and a whopping 5.5m lengths, and the capacity to be matched with up to a 80HP Four-stroke Yamaha. And being tiller steer, you will only be grinning when you see the vast amount of deck space this beauty has. A huge congratulations goes to our Head Technician Peter Sertis on being a Finalist in Yamaha's Bi-annual Grand Prix! I want a new boat, where do I go? We are centrally located in Balcatta, on Wanneroo Road just south of Reid Highway Open Monday to Friday 8:30am to 5:30pm, and Saturday 8:30am to 1:00pm. Drop in and have a look at our great range of New and Used Boats. Click on a picture to view boats. The Stessco runabout range is right at home cruising on the coast, lakes or estuaries. In the Amberjack range the inclusion of the three piece windscreen design, these little beauties make for a great family day on the water tubing, fishing or just cruising along taking in the surroundings. The spacious open style rear deck gives you plenty of room to enjoy yourself and even entertain a couple of guests.